All that’s left of … ? The Powerful Owls resident at the Junction Hill end of Flowerdale (see previous post HERE ) seem to have voracious appetites, judging from the whitewash and regurgitated pellets found by the landholders on the ground below the owls’ roost sites. 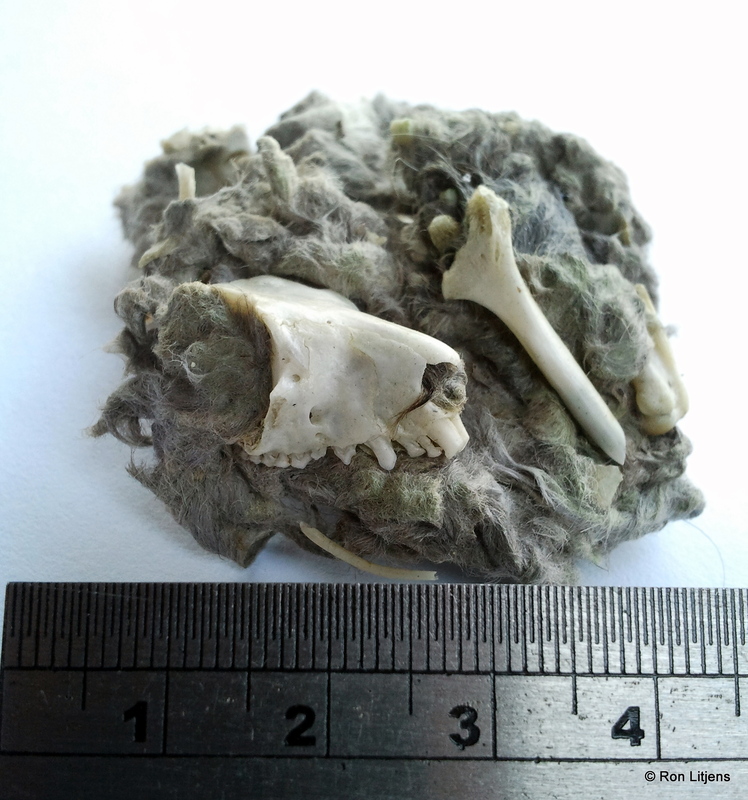 The pellet pictured here shows that some prey are consumed whole, including the head! Can anyone comment on what the skull and bones might belong to ? The scale shown is in centimetres. It may look a little small, but it could really only be a Sugar Glider in this area (large front incisors, followed by two smaller incisors and a prominent canine)- a favourite food item of Powerful Owls. See Barbara Triggs’ book ‘Tracks, scats and other traces’. A closer inspection of the cleaned-up skull and full dentition would be good – a photo even better.